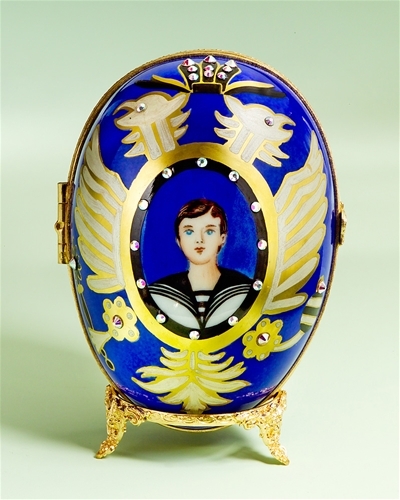 Our exclusive Limited edition reproduction of the Tsarevic Alexei Romanov Faberge Style Egg Box will delight the Limoges art collector. 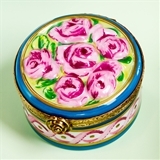 Each piece is totally hand painted with fine detail, 24 carat gold accents and decorated with Swarovski Crystals. The front of the egg features the Tsarevic , the back of the egg the Russian Imperial Eagle. 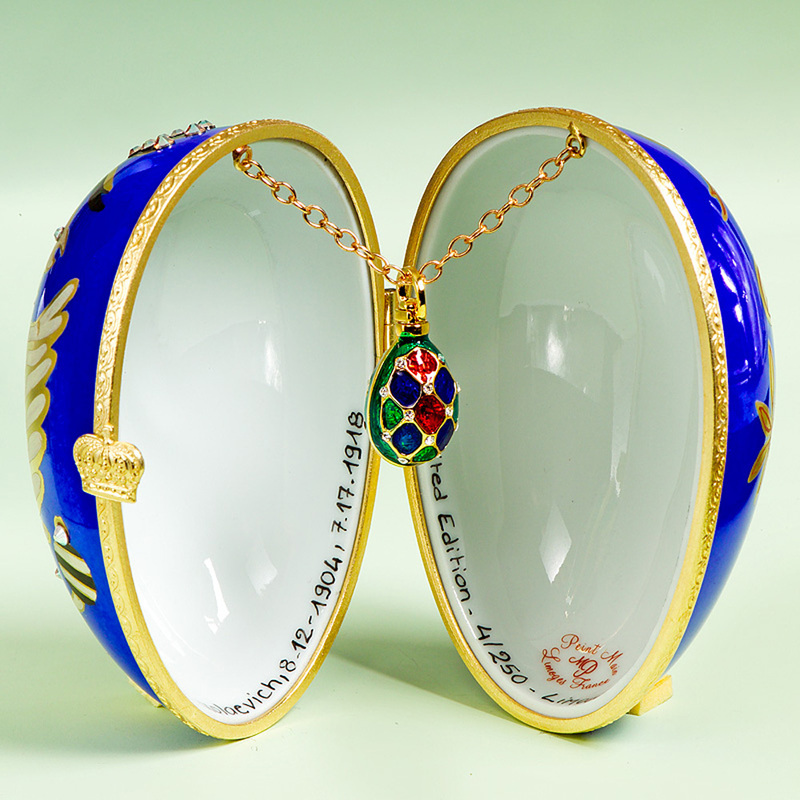 Inside the egg, a little Faberge jewel style egg with a chain with the number of the limited edition hand painted. Comes with a brass stand. From Limoges France. 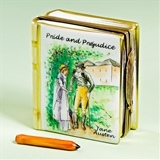 By the Limoges Marquise de Pompadour Collection. 3 ¾”high. From Limoges, France by a museum artist. Alexei Nikolaevich (Russian: Алексе́й Никола́евич) (12 August 1904 [O.S. 30 July] – 17 July 1918) of the House of Romanov, was the Tsarevich and heir apparent to the throne of the Russian Empire. He was the youngest child and the only son of Emperor Nicholas II and Empress Alexandra Feodorovna. He was born with hemophilia; his mother's reliance on the starets Grigori Rasputin to treat the disease helped bring about the end of the Romanov dynasty. After the February Revolution of 1917, he and his family were sent into internal exile in Tobolsk, Siberia. He was murdered alongside his parents, four sisters, and three retainers during the Russian Civil War by order of the Bolshevik government, though rumors that he had survived persisted until the 2007 discovery of his and one of his sister's remains. The family was formally interred on 17 July 1998—the eightieth anniversary of the murder—and were canonized as passion bearers by the Russian Orthodox Church in 2000.